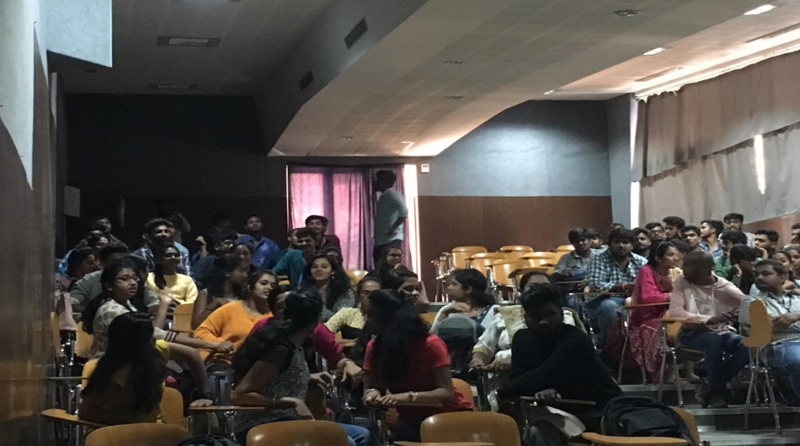 The Business Quiz competition was held on 22.3.19 for MBA students to enhance the knowledge on the current affairs. The questions were based on General knowledge, Marketing, Finance, Current affairs etc. The students from both the sections were divided into 2 groups and the questions were put forth and for every question points were allocated and there was no negative marking. The event was hosted by Mr. Dedan and Ms. Pavitra. The judge for the event was Shrividya S P (Assistant Professor, CMR CBS). Finally the winners were the ‘A’ section students with 105 points and the ‘B’ section students had also given a tough fight scoring 90 points. Hence the session was valuable with loads of information and knowledge.